Unleashed & Uncorked is right around the corner and it is your last chance to purchase tickets! Whether you choose to unwind and relax in the atrium lounge or dance the night away to live music by The Geezers, there is fun for all! 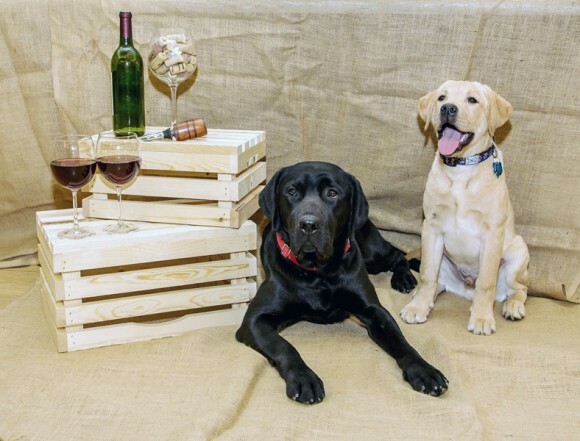 You will indulge in delectable hors d’oeuvres paired perfectly with local libations, listen to first-hand success stories from CPL graduates, and enjoy the company of many four-legged, furry friends. There will be plenty of opportunities to take home a plethora of prizes after testing your luck in the Wine Toss, Wine Pull, or a quick guessing game. And, of course, bid in the silent auction filled with sports tickets, artwork, CPL experiences, and more! Not able to attend the event? You can still participate in our silent auction from home! Simply register for the auction by texting Unleashed2017 to 24700. With the help of GiveSmart Mobile Bidding, everyone is able to participate! Individual tickets are $150 per person and include appetizers, various food stations, and three drink tickets. Visit the Unleashed & Uncorked website to buy tickets and learn more or contact Hannah, Special Events Coordinator, at hholton@k94life.org!